1 Can I Handle My Own Everett Home Loan Modification? 2 What If The Property Is Outside Washington? 3 Who Is Legally Authorized To Help You With Your Everett Loan Modification? 4 Should You File Bankruptcy? Should You Hire A Bankruptcy Attorney to Handle Your Modification? 6 Can You Handle Your Own Everett Loan Modification? 8 What Is The Costs Of An Everett Loan Modification? Can I Handle My Own Everett Home Loan Modification? 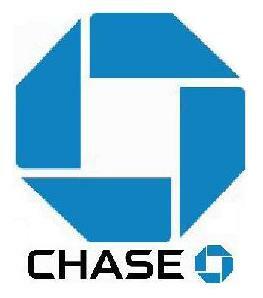 Attorney Deal has modified many Chase mortgages. Most of our modification clients have tried to modify their loans on their own, and this has been true of our clients in Everett. They generally tell us that after getting nowhere, they decided to hire us. You should be represented in a crucial matter such as saving your home. We do not charge to talk with potential clients over the phone, so feel free to call us at 425-771-1110 or 888-999-2022. What If The Property Is Outside Washington? We work primarily on Washington properties. We only work on properties in other states if you have an attorney in your state who will sponsor me. Foreclosure laws differ from state to state. A bankruptcy attorney is generally the best kind of attorney to do the sponsoring. They often agree to sponsor me so they can learn how modification works, and so it may cost only a few hundred dollars to hire a sponsoring attorney. I can even help you select one. Who Is Legally Authorized To Help You With Your Everett Loan Modification? There are a lot of non-attorney modification firms advertising on TV. They will send you solicitations as soon as a Notice of Trustee Sale is recorded against your title. Usually these companies are from out of state. Sometimes they say they have an attorney on staff, but you will probably never get to talk with the attorney, assuming they really have one. Ours is a small firm. You work directly with us. I, as an attorney, talk directly with your lender. Washington law allows only attorneys or licensed mortgage loan officers to handle mortgage loan modifications. Both out-of-Washington attorneys and out-of-Washington non-attorney modification firms are breaking the law if they take on mortgage loan modifications in Everett or anywhere in Washington. Mortgage loan modification is the practice of law. The issues are too complex for non-attorneys to be doing this work. Although licensed loan officers are authorized to do mortgage loan modifications, they should not be doing them. There are too many legal issues involved. Few loan officers now do mortgage loan modifications. 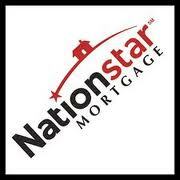 We are licensed to do mortgage loan modifications in Everett and throughout the state of Washington. I am both a licensed Washington state attorney (WSBA number 8103) and a licensed although inactive Washington mortgage loan officer (NMLS # 64871). I ran my own mortgage brokerage for five years, so we understand how underwriting works. Should You File Bankruptcy? Should You Hire A Bankruptcy Attorney to Handle Your Modification? 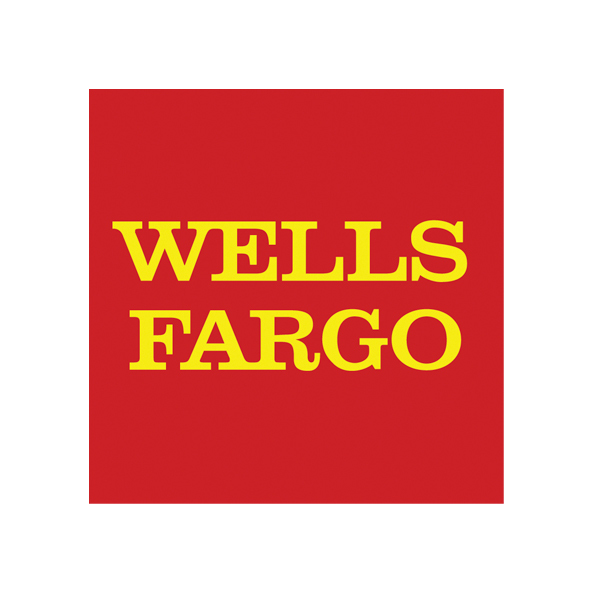 Attorney Deal has modified many Wells Fargo mortgages. I like bankruptcy attorneys. They refer mortgage loan modifications to me. I recommend that they handle the bankruptcy and let me handle the modification. Bankruptcy attorneys are not always the best qualified to handle modifications. They do not necessarily understand how modification works. They often focus only on bankruptcy as an option. Some will leave you you to try do your modification on your own. Maybe you can keep your home by modifying your loan – without going through bankruptcy. In a modification the arrearage can be added to the balance or sometimes forgiven or deferred. Bankruptcy may not be necessary. Or maybe you need both a bankruptcy and a mortgage loan modification. The bankruptcy and the modification need to be timed and coordinated to work together. I have done a lot of bankruptcies, and my bankruptcy experience helps me understand how bankruptcy and modification can work together. I am not taking on new bankruptcies. If you are looking for Everett mortgage loan modification, call Attorney James Robert Deal at 425-771-1110 or 888-999-2022. What kind of mortgage loan modification does your lender give? Have you had a previous mortgage loan modification? What is the difference between a servicer and an investor and why does it matter? What kind of hardship do you need to show in order to qualify? Do you have to be in default on your mortgage loan to get a mortgage loan modification? How is income calculated? How is income calculated if you are self-employed? Are you eligible for the Making Home Affordable program or the Home Affordable Modification Program? How is your income calculated if you are self-employed? What if you are married but your spouse is not on the mortgage? How can a foreclosure be stopped? When are you eligible for mortgage loan mediation and when is mediation helpful? What about loans owned by trusts which have limits on modification terms, and what are the limits? How would foreclosure, short sale, or deed-in-lieu of foreclosure work? Will you be liable for a balance if there is a judicial (in court) foreclosure or a non-judicial (out of court) foreclosure? How is loan modification of second mortgages handled? Is it possible to settle second mortgages them for less that what you owe? What about your credit cards and other debts? What settlement options do you have? Under what bankruptcy chapter should you file? When can you use bankruptcy to eliminate your second mortgage? Can You Handle Your Own Everett Loan Modification? Yes. You may be lucky. But you may also be unlucky. Your bank may ignore you for long periods of time. You might have trouble finding someone to talk with. You might not understand how to fill out the forms and generally speaking how the game is played. You will make mistakes, and the lender generally will not tell you what you are doing wrong. There are rules to this weird game, but the lender is not going to tell you what the rules are. I have spent hundreds of hours studying the rules. You have to think like an underwriter. You have to know how to appeal, how to go up the ladder to find someone in authority who understands the issues. Bear in mind that in certain circumstances you only get one chance for the best loan modification. It is always better to have someone who knows the lay of the land negotiating for you. Even attorneys hire attorneys. When I am in a legal bind, I hire an attorney who specializes in the appropriate field. Attorneys have a saying: “One who acts as his own attorney has a fool for a client.” It is hard for you to be objective about your own case. It is hard for you not to be over-eager regarding your own case and give away too much information or settle for less than you could have gotten if represented or to get your feelings hurt and damage the negotiation process. You may be better off putting your time into your job and your family and letting us do what we do well. Your lender might actually give you some concessions. Your lender might give you a glorified forbearance agreement or a temporary interest rate reduction. Your lender may not give you permanent reduction. Attorney Deal has modified many OCWEN mortgages. I have had people come to me for review of their modification, and often I see that lenders have given them inferior modification terms. Lenders will discourage you from “wasting your money” by hiring a “third-party modification firm.” It is the same way insurance adjusters discourage you from hiring an attorney to negotiate your personal injury case. The lenders want to be free to take advantage of you. I believe that lenders who discourage borrowers from seeking counsel are setting themselves up for a class action suit. Mortgage modification sounds like it should be simple, but it is not. It bristles with legal issues. Never hire a non-attorney to negotiate your modification. If your home or other property is worth less than what you owe, if it is worth approximately what you owe or only ten percent more than what you owe, you have a better chance of qualifying than if you have a lot of equity in your home. Your odds of success increase if you have had a financial hardship, although any hardship, even if it happened years ago, will often suffice. What Is The Costs Of An Everett Loan Modification? Attorney Deal has modified many PNC Bank mortgages. We charge no fee at all to talk with you over the phone about your situation. If we decide that we can probably help you, we charge a $300 fee for a more detailed consultation to get the details. Together we will call your servicer and discuss your modification. If we are then convinced that it is probable that a modification will go through, and if you decide to proceed, we will prepare a fee agreement for you to sign. We charge a flat upfront fee. The upfront fee can be paid over a period of two or three months, so you will be able to confirm that we are working on your case and getting it filed. You will owe the balance as a completion bonus when and only if we succeed in getting you a mortgage loan modification. We let our clients pay the completion bonus over a period of months. We also charge a bonus if we can get you a principal reduction, a forgiveness of unpaid interest, or a principal deferral. A principal deferral is where part of the loan is owing only at the end of the loan and where there are no payments and no interest accumulating on the deferred part. We always try to get these for the client. Charging part up front and part upon completion is a way of sharing the risk that the modification will not go through. Not every modification is successful. There are factors outside of our control which can cause a modification to fail, such as a drop in income, so we cannot make a guarantee that we will be successful. However, close to 90% of our modifications are successful. We do not like to take on modification cases unless we are convinced that success is probable. Bear in mind that some lenders are not in any way obligated to give modifications, although even then it is often worth a try because even with banks which are not obligated to give modifications, we often are able to work one out. Because we charge only part of our free up front, we are sharing the risk with you that your modification will be successful. Our fees are reasonable. For five years I ran my own mortgage broker office. The fee I now charge – upfront fee plus completion bonus – is approximately what I used to earn doing a complex refinance. The difference is that those refinances were usually over and done in 90 days. Modification can take six months or a year. I have had some modifications take two years to complete. Once you have paid your base fee, we will stick with you until your modification either is approved or is finally declined after all appeals are exhausted. When a lender has started foreclosure, the Washington Foreclosure Mediation program is a good way to stop it and gain extra time to work out a modification. We charge extra when we handle a mediation. Extra documents must be prepared, extra negotiations must take place, and we must attend a mediation conference. Often modification can be worked out before the mediation conference occurs. A loan modification will give you a lower interest rate and a longer amortization term than a refinance. It might produce a principal reduction. It might produce a principal deferral – where a large chunk of your loan bears no interest or payments until after 30 or 40 years.